This fun, interactive story will delight children when parents read along with them. Children are tasked to make logical decisions in their adventure assisting Santa Claus on Christmas Eve. 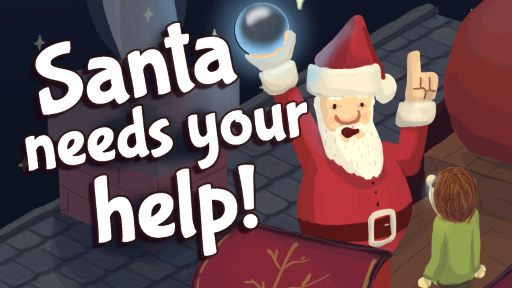 Santa Needs Your Help is an interactive story that plays similarly to a visual novel. It was created in Unity using Fungus for Android devices. DAM is a 2D, top down, frantic survival trial. Navigate an arena while trying to avoid hordes of demons for as long a possible while gaining new powers that help you stay alive longer. Demon Arena Madness is a game completed in the Unity engine. It can be played in a web browser or downloaded for Windows. The Windows version enjoyes full controller support. 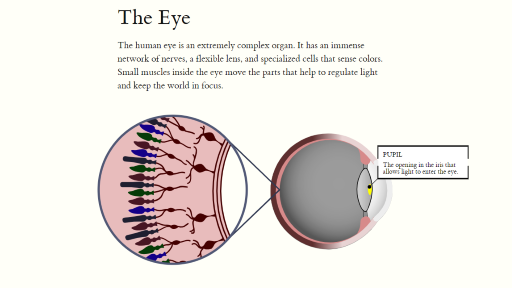 An interactive eductional "game" about the human eye. Known as Explorable Explanations by the organizers, The Eye was created for the first ever Explorables Jam, July 28 to August 19, 2018. 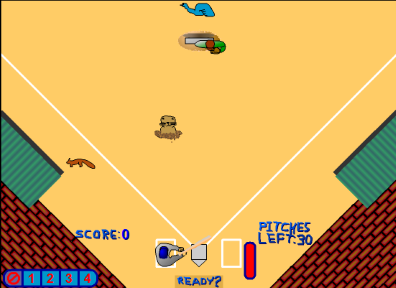 This is an old Flash game written in Action Script.